Search is particularly pushy. I searched "Game of Thrones" and the first result was the HBO show, but when I clicked on it the most prominent option was to purchase it from Amazon -- at $4 per episode or $39 for a season. Only by navigating to the little "More Ways to Watch" button was I shown HBO Go (which allows me to watch it for "free" as part of a subscription). Meanwhile, even though I had installed the HBO Now app, it wasn't listed there at all. The same experience applies to pretty much every other TV show and movie I searched for. The Amazon version was listed first, and if the other options were listed at all, they were further down a list of choices or hidden completely. Even when I was inside the Netflix app, voice search would pull me out and present me with the Amazon choices. Amazon's system-wide voice and text search still omit Netflix results completely. That's fine for people who only subscribe to Amazon Prime, but for those who also subscribe to Netflix, HBO Now, Showtime or Hulu Plus, it could mean paying extra for something you can get for "free" as part of that subscription. I was afraid of that. I'd much prefer to download an entire show at full resolution and then watch it playback smoothly than watch it live at a reduced resolution and with distortion whenever the bitrate drops. I don't know what to tell you. We are not only going to need a Roku or the like - we are most likely going to need a whole new TV, as ours is (per RP) from 2000. Or we can just watch the damned thing online. But we do need a TV for sports as it's just better. There's no question we need to replace the TV. I just kind of didn't want to do that right now as we're going to get the bathroom worked on and that will be bucks. We are not only going to need a Roku or the like - we are most likely going to need a whole new TV, as ours is (per RP) from 2000. I don't know what the quality would be like with such a connection though. as ours is (per RP) from 2000. 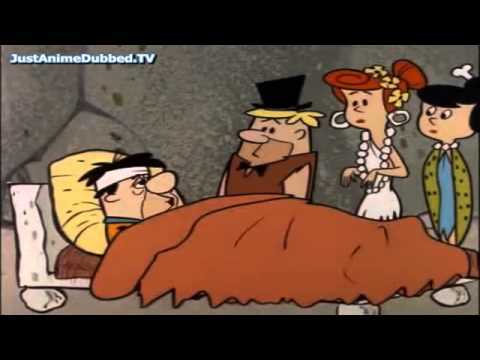 Did you buy it used from Fred Flintstone? Thinking about that a bit more, the quality of a composite connection might be poor enough that you'd be better off watching it on a computer monitor. Oh thanks - I was looking into adaptors. And you! @tsarstepan! I didn't buy it from Fred. I bought it from Barney. Unbelievable eps 1 and 2. Gonna watch ep 3 tonight if time permits. Lt. Stamets (who we will meet) looks like a guy who will freak out if you move his cheese. I'm not a prude by any definition but I think this is how CBS figures it'll make Star Trek edgy and catchier to the youth demo. If that's why HBO, Netflix, and other premium channels are creating their wildly successful franchises: Adult language! That's the ticket! I didn't think so at all - the language was in character for the person who said it. It just came down, not 45 minutes ago: they have been renewed for a second season! W00t! Ok, totally saw the end of that episode. W00t can't wait for January 7!! !